Marvel’s Civil War II storyline is launching in coming weeks, and all signs point to the death of Jennifer Walters, known for 35+ years as She-Hulk. 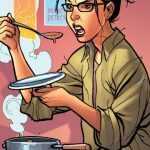 Over the years, replacements have arrived for She-Hulk, and while nobody can ever truly replace Jennifer Walters as an icon of the Marvel Universe, she has a legion of women who can temporarily take over the mantle. First and foremost, Jennifer Walters has been one of my favorite characters since Dan Slott’s She-Hulk run in the mid 2000’s. Since then, I’ve collected most of her appearances since then, and have gone back to complete her first volume and gain large chunks of her iconic second volume by John Byrne. As Civil War II comes up, all the signs point to her being severely taken off the table, if not outright killed. 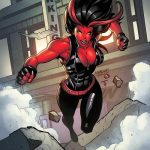 If you are spoilers-adverse, scroll down until you see pictures of other She-Hulks, as the next paragraph covers upcoming comic book speculation and facts. While they could easily let the title rest (or honestly just let the character survive), an “All-New, All-Different She-Hulk” would always be something that could boost sales and star in a new book. A few women could easily be set up for the new role. Down the road, both The Totally Awesome Hulk (mentored by She-Hulk) and Patsy Walker AKA Hellcat (BFFs with She-Hulk) solicitations mention that both titular heroes will lose someone close to them. The cover for Patsy even features photos of Patsy and Jennifer hanging out and being friends. Civil War II #0 (the Free Comic Book Day issue) has leaked online. During the action, She-Hulk takes a missile to the chest and is not shown afterwards. 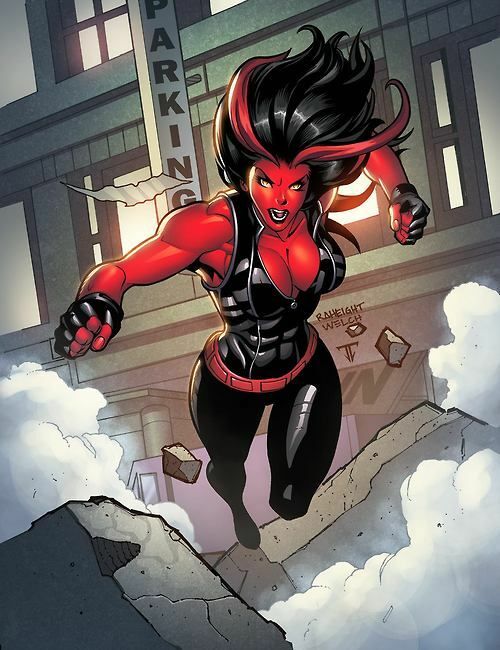 She-Hulk, while important to multiple books at the moment (The Totally Awesome Hulk, Patsy Walker AKA Hellcat, A-Force), did not get a second volume of her recent notable/critically-acclaimed volume after Marvel relaunched everything. Additionally, she’s featured with War Machine on a cover for Civil War, another character rumored to die. War Machine (potentially renamed “War Hammer”) is frequently shown in promotional material for the theatrical Civil War on the ground unconscious and damaged, and if he dies in one medium, it wouldn’t be unheard of within Marvel’s mindset to kill him off in another. In the leaked Civil War II #0, War Machine takes a hit that would easily be considered a death-blow for many characters. Recent issues of Invincible Iron Man featuring War Machine have had the “Road To Civil War II” title, despite not featuring anything that appears to be related to the inciting incidents. 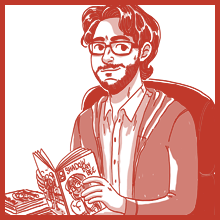 From an alternate future where Thundra and Bruce Banner had a child, Lyra arrived in the present to save her future. Coupled with an advanced AI wrist gauntlet, Boudicca, the youth fought to defend a world that she didn’t fully understand. Yes, she’s basically Booster Gold. Lyra has gone quiet once the intrigue a new She-Hulk wore off (having largely replaced Walters during this time in title, and pairing off with her for an abortedly-short series). Give her an updated status quo, and it wouldn’t be too hard to imagine Lyra becoming a friend of Ms. Marvel and going to the same high school, or even joining up with A-Force and the inter dimensional Ultimates or Squadron Supreme, thanks to her time-displaced nature. Problem is that she currently lacks any powers. She had been fighting for good with an Asgardian sword until “Doc Green” drained her of her gamma powers. Still, for being one who had the gamma power coursing through her veins, it’s not impossible to come up with a replacement and bring her back into the battle. 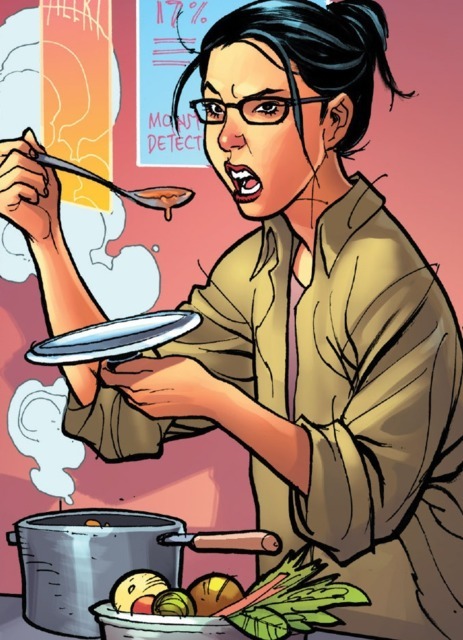 Here’s a “now that you think about it” moment: much of Amadeus Cho’s story over the past few years has been trying to track down and save Madame “Maddy” Curie Cho, his sister, from a mysterious disappearance. It could be very possible that Amadeus Cho somehow loses his sister to gamma power. Amadeus Cho has been very adept at keeping his intelligence and rational mind while transformed, something that She-Hulk had managed for years. 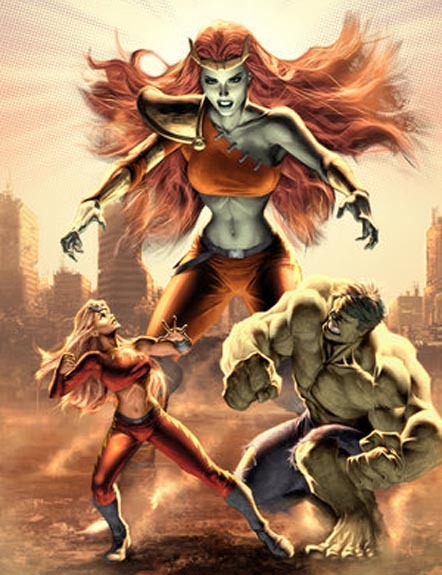 Maybe swapping things up and letting the Hulk be calm and rational, while She-Hulk regularly loses control of her emotions, and you get a unique inversion of the status quo. Additionally, it would immediately give Marvel a rarity; a Korean-American woman hero. 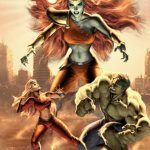 Many of Marvel’s moves have been to smartly diversify their line and cast of characters, and a character with already-strong Hulk ties would be right up their ally.